Laid down, 12 January 1968, at Marinette Marine Corp., Marinette, WI. 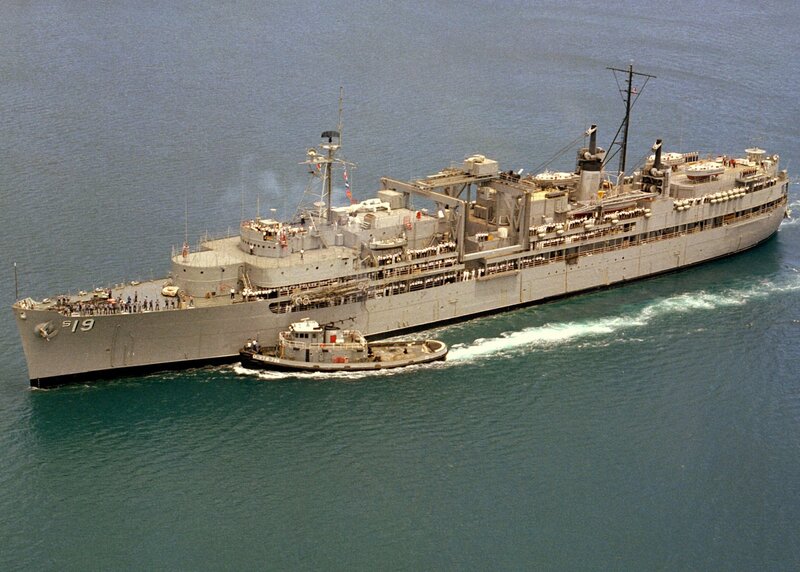 338k USS Proteus (AS-19) being assisted by Saco (YTB-796) into her berth at Naval Base Guam , 24 May 1980. 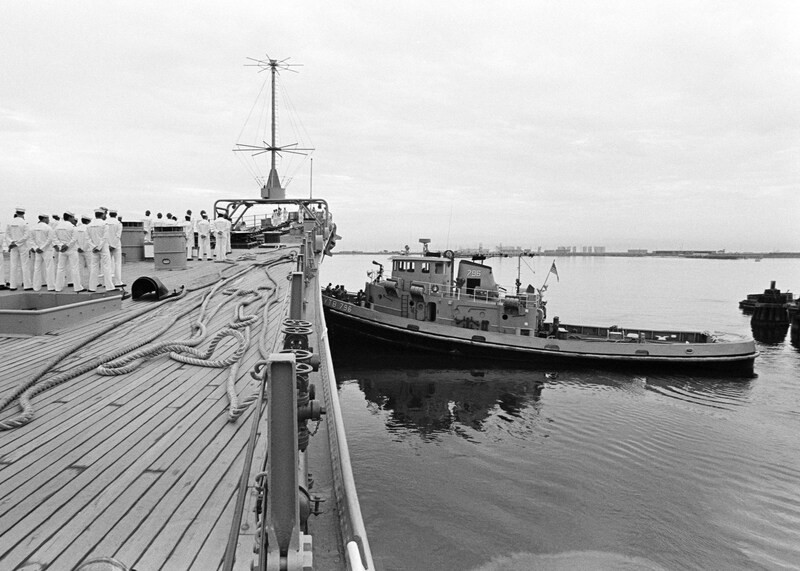 1481k USS Missouri Sea and Anchor Detail stand at parade rest as Saco (YTB-796) maneuvers the battleship into port.at Naval Station Long Beach, CA. , 24 August 1988..
19k Saco (YTB-796) underway with her mast retracted for maneuvering in tight places, date and location unknown.